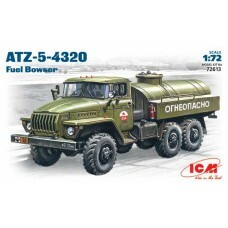 FactsBrand:	ICMTitle:	ATZ-5-4320 Fuel BowserScale:	1:72Released:	200x | Rebox (Updated/New parts)Typ..
FactsBrand:	ICMTitle:	BM-13-16Scale:	1:72Released:	200x | Rebox (Changed box only)Type:	Full kitBox ..
FactsBrand:	ICMTitle:	BM-14-16 Multiple Launch Rocket SystemScale:	1:72Released:	200x | Rebox (Chang..
FactsBrand:	ICMTitle:	BM-24-12 Multiple Launch Rocket SystemScale:	1:72Released:	200x | Rebox (Unkno..
FactsBrand:	ICMTitle:	BTR-152KScale:	1:72Released:	200x | Rebox (Changed box only)Type:	Full kitBox ..
FactsBrand:	ICMTitle:	BTR-152S Armoured Command VehicleScale:	1:72Released:	2004 | Rebox (Changed bo..
FactsBrand:	ICMTitle:	BTR-152V Armored Personnel CarrierScale:	1:72Released:	2005 | Rebox (Changed b..
FactsBrand:	ICMTitle:	BTR-60P Armored Personnel CarrierScale:	1:72Released:	2005 | Initial release -..
FactsBrand:	ICMTitle:	WWII German Staff Car G4 (1935 production)Scale:	1:72Released:	2015 | Initial ..
FactsBrand:	ICMTitle:	Krupp L2H143 Kfz. 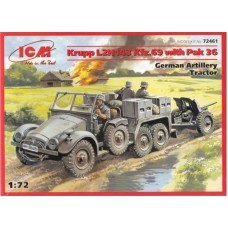 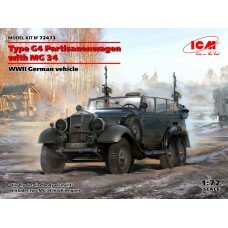 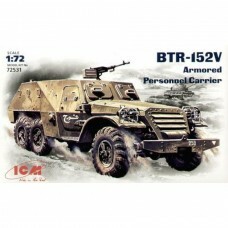 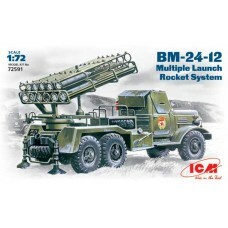 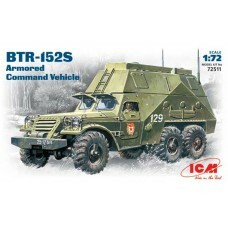 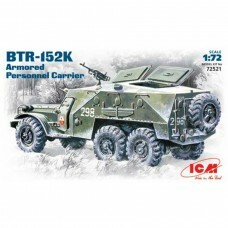 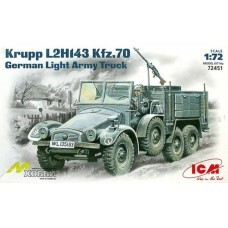 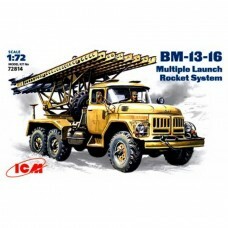 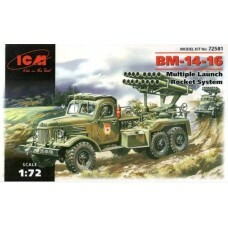 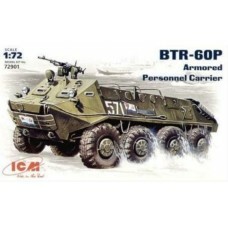 70 German Light Army TruckScale:	1:72Released:	2005 | Initia..
FactsBrand:	ICMTitle:	Krupp L2H143 Kfz.69 with Pak 36Scale:	1:72Released:	2009 | Rebox (Changed box ..
FactsBrand:	ICMTitle:	Sd.Kfz. 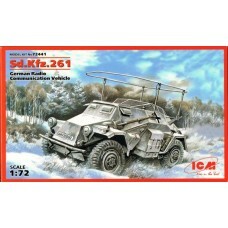 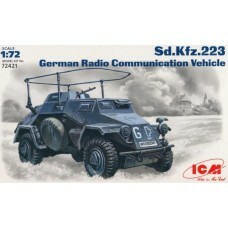 260 German Radio Communication VehicleScale:	1:72Released:	2005 | Rebo..
FactsBrand:	ICMTitle:	German Radio Communication Vehicle Sd.Kfz. 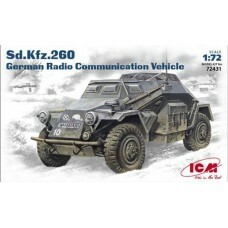 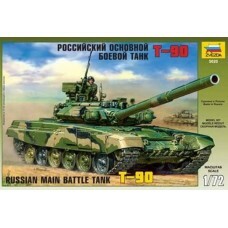 223Scale:	1:72Released:	2005 | Rebo..
FactsBrand:	ICMTitle:	Sd.Kfz.261 German Radio Communication VehicleScale:	1:72Released:	2005 | Rebox..
FactsBrand:	ZvezdaTitle:	Russian Main Battle Tank T-90Scale:	1:72Released:	2015 | Initial release - ..